Starring Zara La Peta Webb and Shivam Raina, the film is set to be released on April 5. A British-Kashmiri girl Noor (Zara La Peta Webb) visits Kashmir too look for her father, who disappeared years ago. 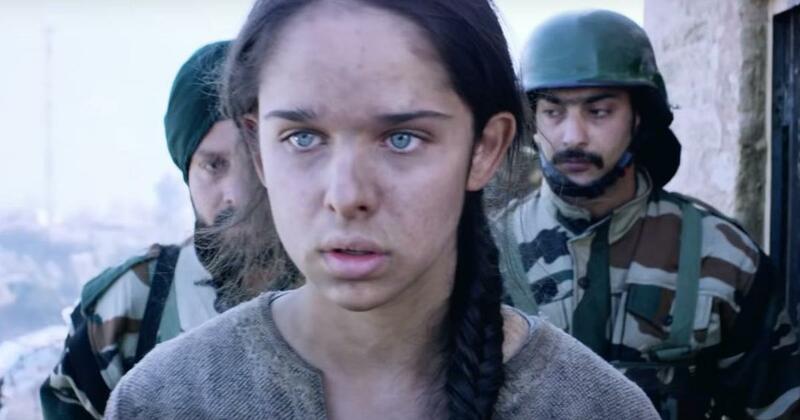 Helping her is a local teenager, Majid (Shivam Raina), who takes her to a forbidden zone near the Indo-Pak border. They get arrested, but Noor is released since she is British. Can Noor help Majid get freedom? The trailer of Ashvin Kumar’s No Fathers in Kashmir gives a glimpse of Noor and Majid’s journey as they discover friendship and love amidst harsh realities. The supporting cast includes the writer and director, Kulbushan Kharbanda, Soni Razdan and Anshuman Jha. The film is set for an April 5 release. No Fathers in Kashmir (2019). Kumar had an eight-month tussle with the Central Board of Film Certification over the release of No Fathers in Kashmir. The censor board wanted to give the movie an Adults only certificate, which Kumar opposed. The Film Certificate Appellate Tribunal cleared the production with a U/A (parental guidance) certificate with a few cuts and disclaimers. Kumar’s credits include the documentaries Inshallah, Football (2010) and Inshallah, Kashmir (2012). Both films later won National Film Awards. He also made the Oscar-nominated 2004 short film, Little Terrorist.